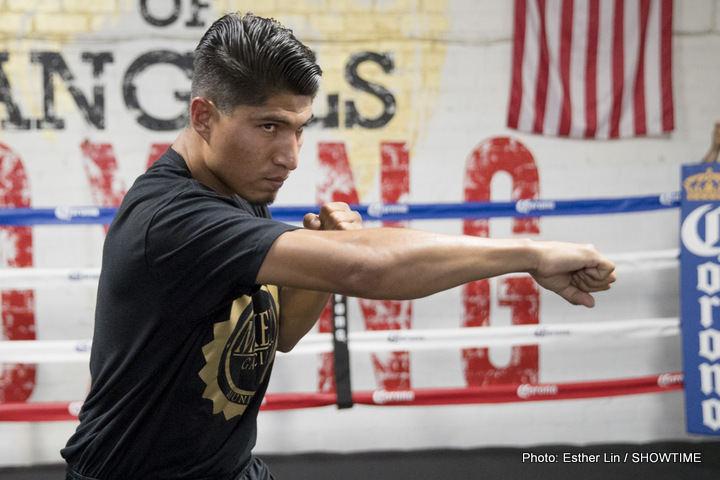 On Saturday night, January 28, 2017, twenty-eight year old professional boxer Mikey Garcia (Moreno Valley, CA by way of Oxnard, CA/pro record: 35-0-0, with 29 KOs) returns to the ring at the MGM Grand in Las Vegas, Nevada, against WBC Lightweight Champion, Dejan Zlaticanin (Podgorica, Montenegro/pro record: 22-0-0, with 15 KOs). Garcia-Zlaticanin is scheduled for twelve rounds in the lightweight division as the co-main event on the Showtime televised fight card. In the main event, Carl Frampton will defend his WBA Super World Featherweight Title in a rematch with Leo Santa Cruz.